We are days away from celebrating our 25th church anniversary. 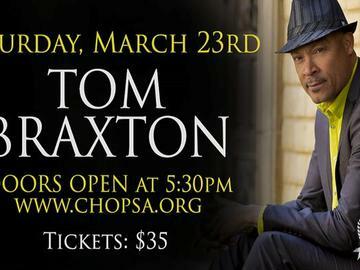 On Saturday, March 23rd, Christian House of Prayer San Angelo will be hosting a jazz concert featuring saxophonist, Tom Braxton and the band, with special guest vocalist - Andrea Wallace. Tickets go on sale Sunday, February 17th for $35 each. The concert will be held at the church located at 333 West Avenue C. The social hour begins at 5:30pm and the concert kicks off at 6:00pm. Hors d'oeuvre plates will be available for purchase at the event for $5. All seats, excluding reserved tables, are first come first served. If you have any questions please email admin@chopsa.org. We look forward to seeing you!